There’s something special about learning to dance at Fancy Feet Dance Studio. One of the things that we take pride in is our ability to take something like dance that’s already great, and make it even better. From the instructors that we hire to the things that go on behind the scenes, we’re simply different from the rest. Fancy Feet instructors give back to the community by donating their time and expertise to the local schools, which allows for more passionate children to learn this art. It’s one of the most rewarding things that we do behind the scenes, but something that has also helped each of our instructors grow in a unique way. Aside from that, Fancy Feet boasts a director with forty-two years of teaching experience, thirty-seven years in business and a Bachelor of Arts degree in Dance, Drama and Theater, who trains every instructor in her philosophy and style of teaching. We love being able to have the same level of professionalism taught in each class and with the same method so that your children can consistently learn the best way to grow in their dancing career. ...learn in a fun, loving and positive environment. ...have Broadway style dance recitals. ...are taught by a professional teaching staff trained with the Fancy Feet teaching philosophy. ...have a variety of dance classes from which to choose. Performed in a Wyclef Jean Video "My Girl"
Invited to perform at the 2012 Olympics. Fancy Feet is dedicated to developing talent at the recreational, competitive and professional level. We provide a caring, family environment where a child or adult can feel free to express themselves. In every class we give your student the encouragement and direction they need to excel. At Fancy Feet we believe children learn best in a positive, happy and creative environment. 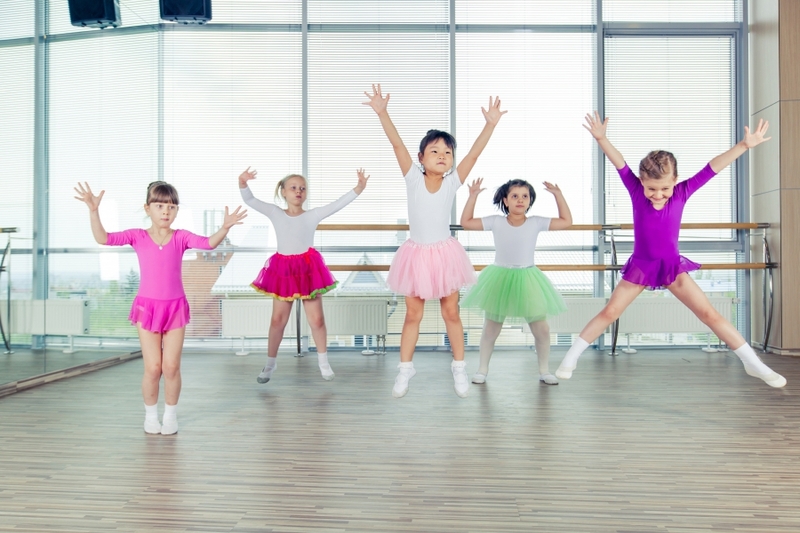 We also host dance and gymnastic birthday parties at all of our dance studios. We are dedicated to offering classes with a high standard of technique, style and performance and believe that educating your children in Dance and Gymnastics is in the forefront of our values. At Fancy Feet, dance promotes self confidence, artistic expression, respect for themselves and others, a healthy body, hard work, time management and the ability to understand how the body works and moves. We strive to inspire our students – living, loving, learning and developing an appreciation for the arts. Our dance recital final proceeds are donated to the Ronald McDonald House!